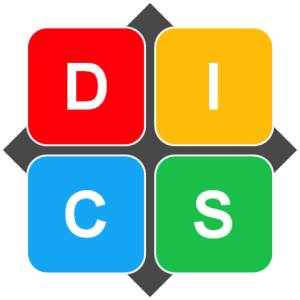 DISC is a behavior assessment tool based on the DISC theory of psychologist William Moulton Marston, which centers on four different personality traits which are currently Dominance (D), Influence (I), Steadiness (S), and Conscientiousness (C). DISC is one of the most successful and widely used personal and professional development instruments ever created. It is a powerful tool that is easy to understand and helps simplify the complexity of human behaviour. Behavioural research suggests that the most effective people are those who understand themselves and those around them. This understanding of personal strengths and weaknesses, coupled with the ability to identify and understand the strengths and weaknesses of others, allows one to develop strategies to meet the demands of the environment. There is no right, wrong, or best style. The profile only describes how one does things (behaviour). A knowledge of behavioural styles assists in understanding an individual and how he or she relates to others. Using the knowledge obtained from the DISC personality assessment, people will have a better understanding of their own actions, that of their colleagues and customers, as a result of which people will understand one another better. They will meet each other’s personal needs more, so that conflicts can be avoided or reduced. This provides a basis for trust and effective cooperation. 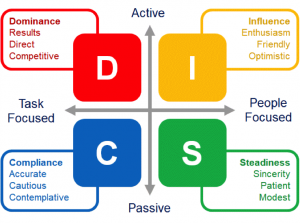 The DISC Behaviour Assessment can be used for various reasons: from personal development and leadership training to recruitment & selection and profile reports. It is a tool that enables management to take effective decisions that will provide benefits across a range of business functions.